Rep. Greg Stanton has also spoken against President Donald Trump’s declaration of a national emergency to secure funding for the border wall, arguing it jeopardizes one of the Phoenix metro area’s key economic engines — Luke Air Force Base. 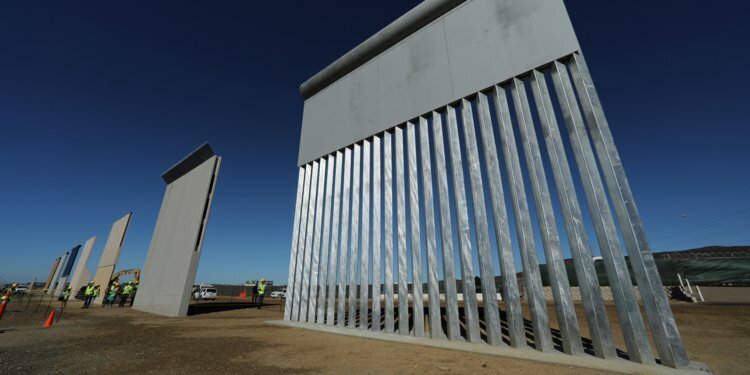 Stanton, D-Ariz., said Sunday Trump’s emergency for the border wall is putting at risk $40 million in construction projects, including a new aircraft maintenance facility. It should be reported that the Luke Air Force Base houses 85 F-35s Lightning II, receiving its first joint strike fighter in 2014 and with an expected final tally of 144. The Air Force base is known for training about 70 percent of the world’s F-35 pilots. The base also has attracted complaints from the residents nearby of excessive noise as jets roar over their rooftops. However, an attempt to receive the reaction from the White House went futile. In 2016, just after his election as the President, Trump attacked the F-35 program’s estimated $400 billion budget. He said the programs were out of control. Later, he met with various defense contractor CEOs to discuss more the costs. In February 2017, Lockheed Martin agreed to bring the cost for each jet below $100 million. The late Sen. John McCain, the veteran Arizona Republican who headed the influential Senate Armed Services Committee, also had concerns about the enormous costs associated with the F-35 program. Trump has since lauded the F-35, going as far as saying the jet is literally invisible. The F-35’s website boasts the jet is extremely difficult to detect, but rebuke’s Trump’s invisibility claim. “Stealth is not invisibility,” the website says. It should be reported here that Arizona Governor, Doug Ducey has decided to stick to his Republican side and announced that he supports Trump’s Border Emergency. But the State’s Capitol Hill delegation has mainly been divided along the party lines.